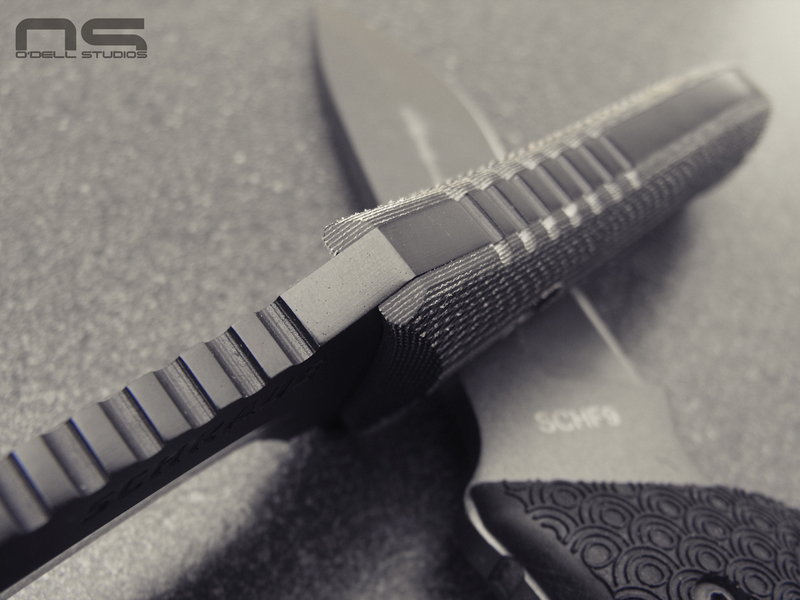 2014 Note: There have been some smart updates to the SCHF10 that this review predates and doesn't cover. 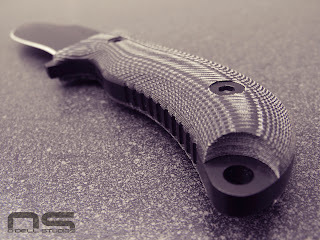 something else with the sheath but that is sort of a toss up because the end users are going to vary widely in opinion on the subject of sheath design. In the end, it's a hard use tool with zero gimmicks and anything "nice" that would have added cost was prejudicially omitted. 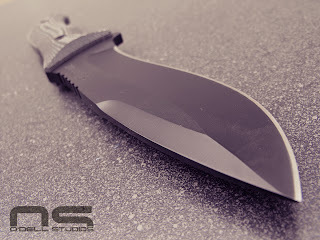 This knife was made to work, not just in materials but in design, and was not made to look pretty. To me, that's a product done right, regardless of what it is, especially when you want to meet a price point. 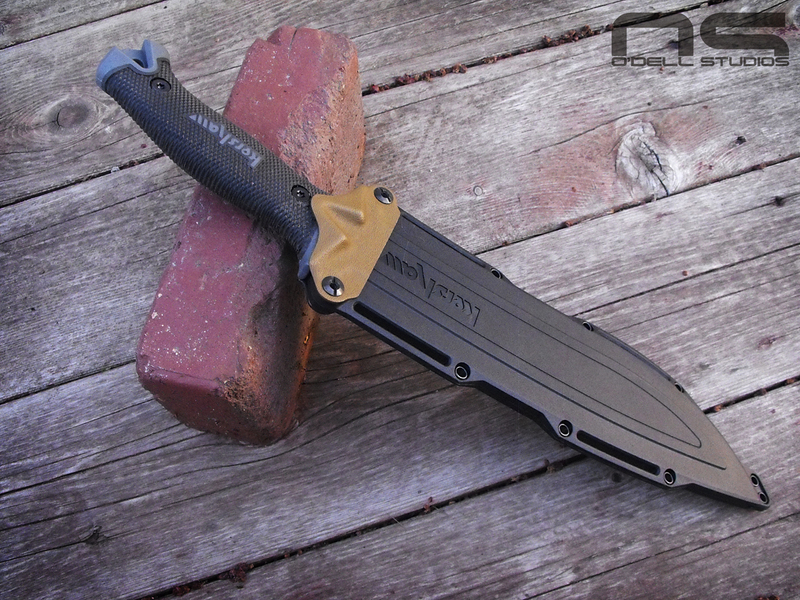 Using Nutnfancy terminology, this knife has almost no "second kind of cool" value. Although for me it's sort of like heavily worn 1911 pistols; they're cool because they're rough. I think it's the same reason Glocks are thought of as cool too. They're ugly and they aren't fancy, but they can still be seen as cool. out of the box and it is really well designed. I am a sucker for that re-curve shape and belly so that attracts me right away. But it's clearly a multi-use blade. 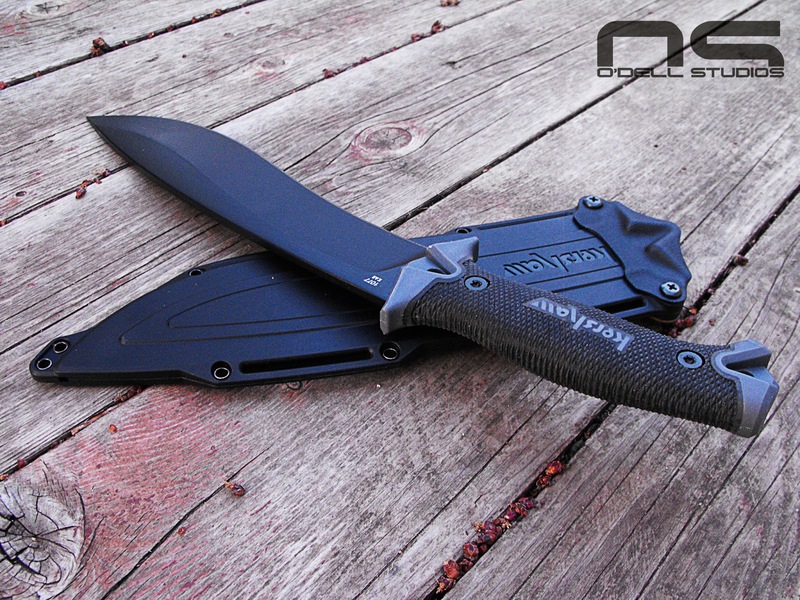 It has fighting features with that swedged drop point and overall length, and it has survival features with the heavy belly, re-curve and quarter-inch width. 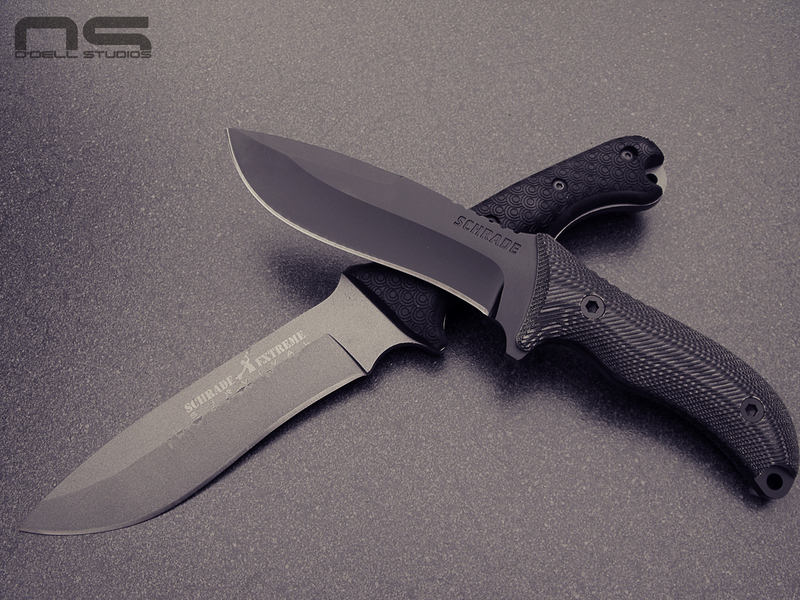 The Micarta scales give amazing grip the way they have been cut and have a dry, slip-proof feel to them. I was amazed at the clean, smooth black coating and flawless steel to handle fit and finish. The knife feels like it was made for my hand with nice jimping in the right places and spectacular grip contours. 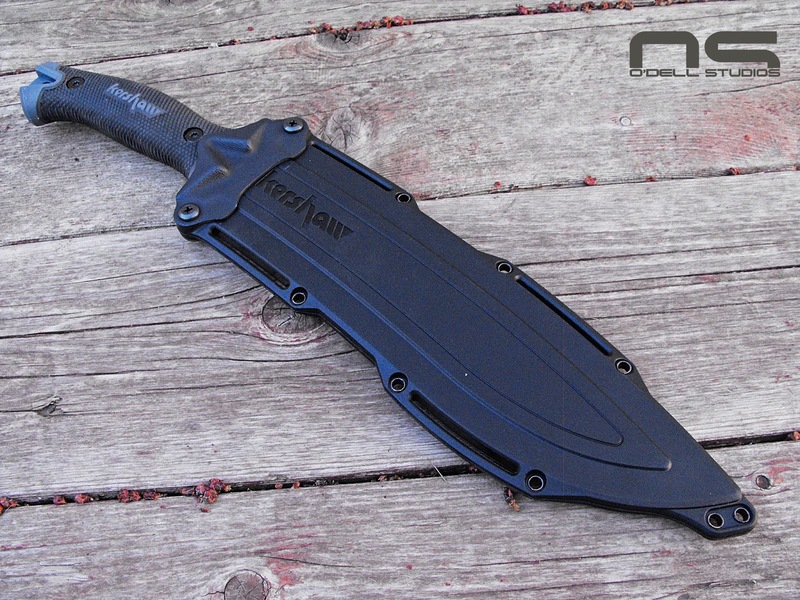 I think it looks like a knife that would cost a lot more than $40.00. comparison because the 9 had clear purpose and sacrificed any aesthetic appeal to get there while in the same line we now have the 10 giving users an awful lot of "nice" with more than the money's worth in functional design features. 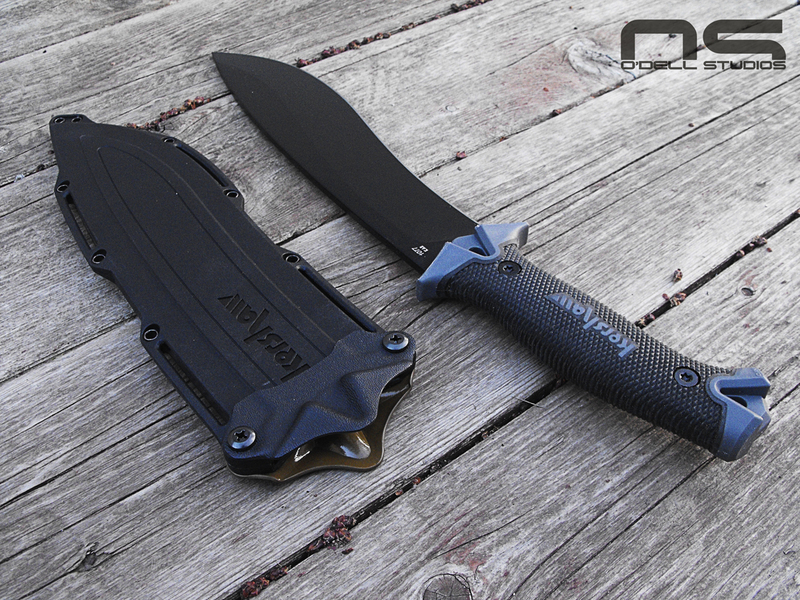 This knife is as "tactical" as it is "traditional" and combines the right amount of the two resulting in a very attractive, high-value, multi-use blade. Very nicely textured Micarta scales. Simply awesome blade shape and finish. One thick hunk of iron. Excellent blending of steel and Micarta. Just look at that fit and finish. Nice! UPDATE: 4/29/13. Sheath. 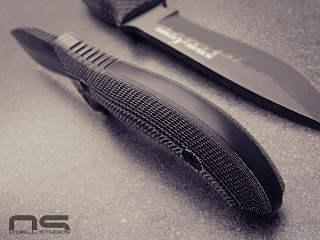 Above I mentioned things like the sheath being serviceable, or I would have done something different with it, and I even said it was probably nicer than the one packaged with the SCHF9. Well, here are my thoughts in more detail. 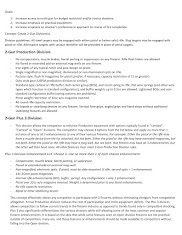 God knows Taylor Brands or Schrade probably won't be stopping by my blog to read what I have to say, but I know there aren't a lot of reviews out for the SCHF10 yet and I might as well just lay it out here. 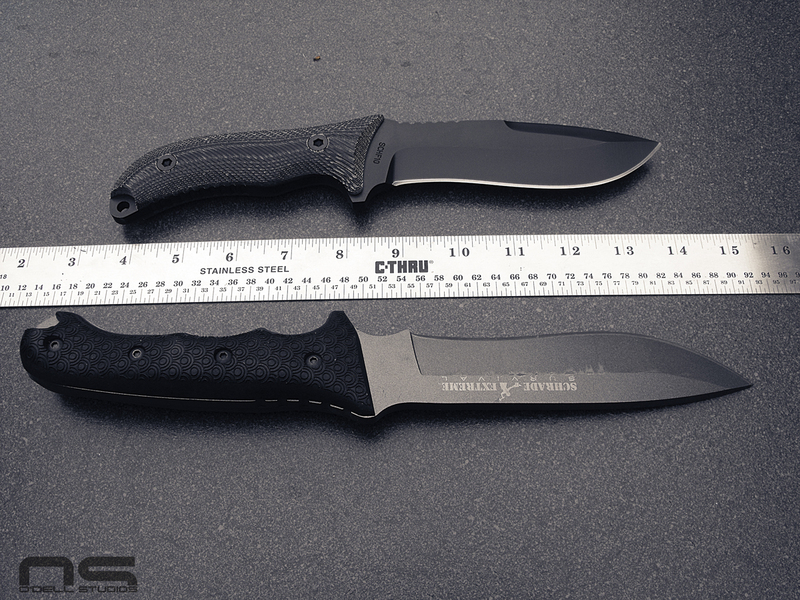 The 9's has a plastic liner in it and so, that sheath will probably work. It might even last a little longer than I would give it credit for, because the blade isn't going to hack it apart as quickly as say ..... the 10's. 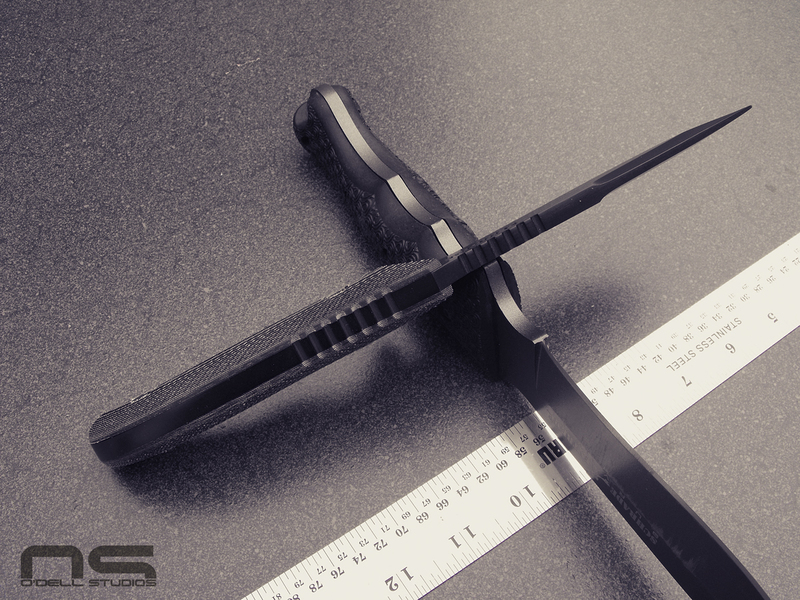 When I said the 10's sheath might be a little nicer it is because the materials feel tougher and of higher quality. The truth however is, there is no liner and my knife has already cut the stitching keeping it together. 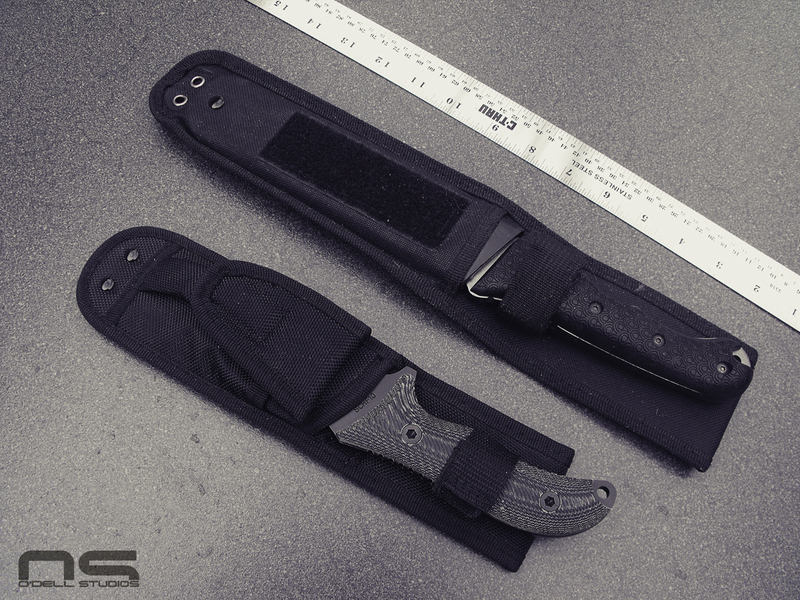 OK, I'm not sure I'm over stating things when I say this is a massive oversight when it comes to sheath making, and an issue that knife makers have had solved for about ten thousand years. 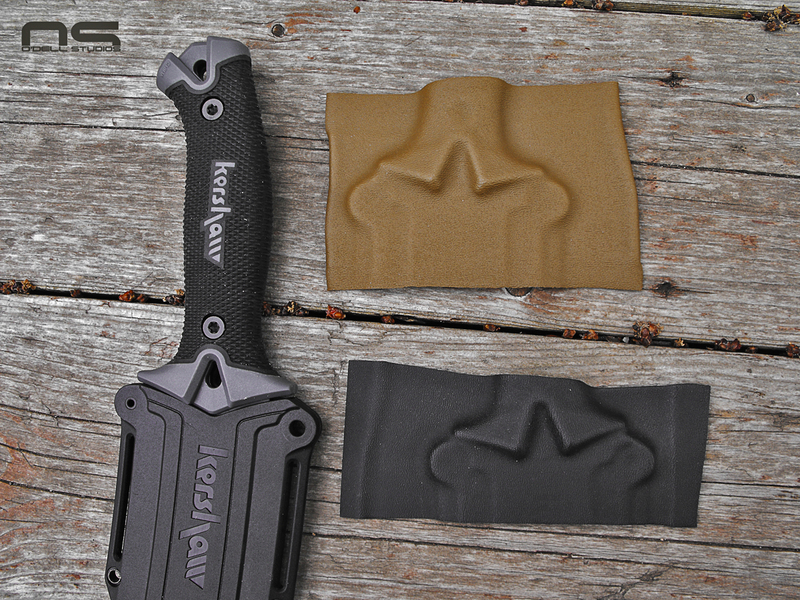 Everyone who buys these things knows the sheath is going to be crap. I know I expected it to be and I don't care that it is crap. 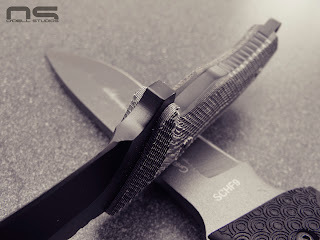 In fact, it would appear that even "nicer" knives come with equally craptastic sheaths and those who know this don't care. They don't care because either buying a nice sheath for it is practically a given, or if you're like me, you're just going to make your own anyway. However, I believe that leaves a lot of customers out to dry. I think Schrade knows this and tries to give them something they can use with a few gimmicky features to make the bitter taste a little more palatable. I guess that's fine - I guess I get it. But I'm just throwing this out; what if the shop in China making these things just never purchased another square inch of black nylon? Not gonna fly? No problem. 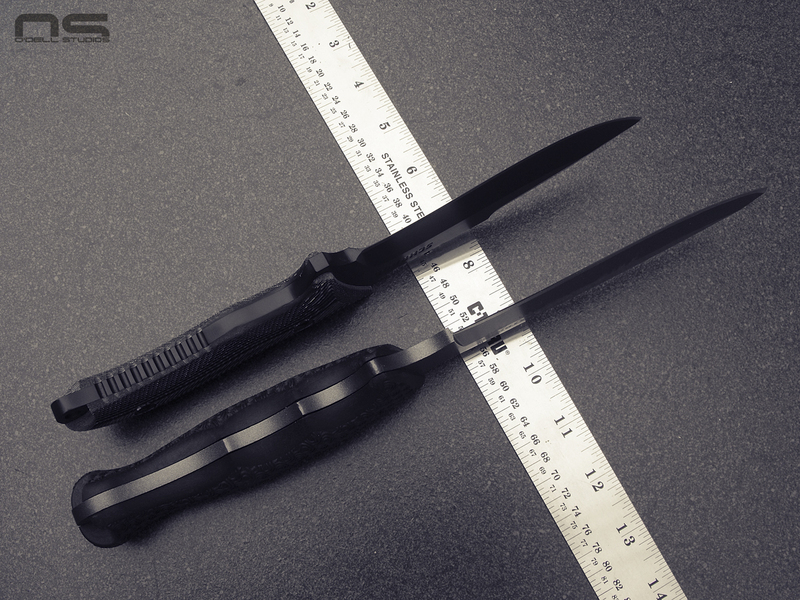 But at the end of the day a totally basic sheath with a belt loop and plastic liner is all that should be included. I think the user, the one who plans NOT to throw the sheath in the trash upon arrival, is fine with having to unbuckle their belt to put it on and take it off so no Velcro. Snaps for the retention strap and no pouches, no MOLLE straps, no eyelets, no cordage, or any other cutesie nonsense. Make a plastic box the blade fits in, cover it with equally box-shaped nylon fabric, stitch it up, maybe rivet the liner in, done. No webbing anywhere. No Velcro anywhere. And this is only for people, as I said, who plan to use the unit the knife came with and if it were decent enough, maybe more consumers would too. For the rest of us, just don't bother including one. 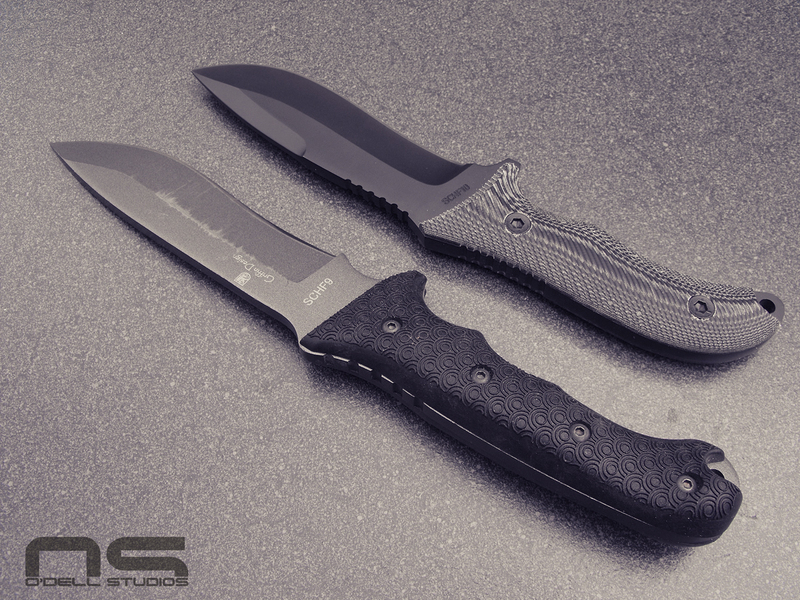 If money could be saved by making a no nonsense sheath (or none at all) it could be reinvested in making that sheath from better materials, lowering the price of the product, or improving the knife itself. 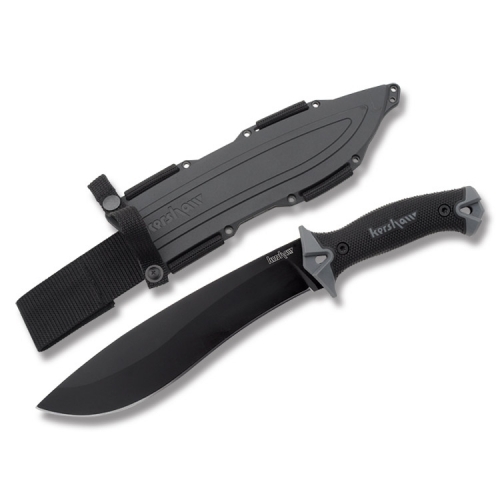 All of which I would rather have than a sheath that's going to fail 10 minutes out of the box. It would seem that the blending of my interests into one conglomeration here at O'Dell Studios is having unexpected results. 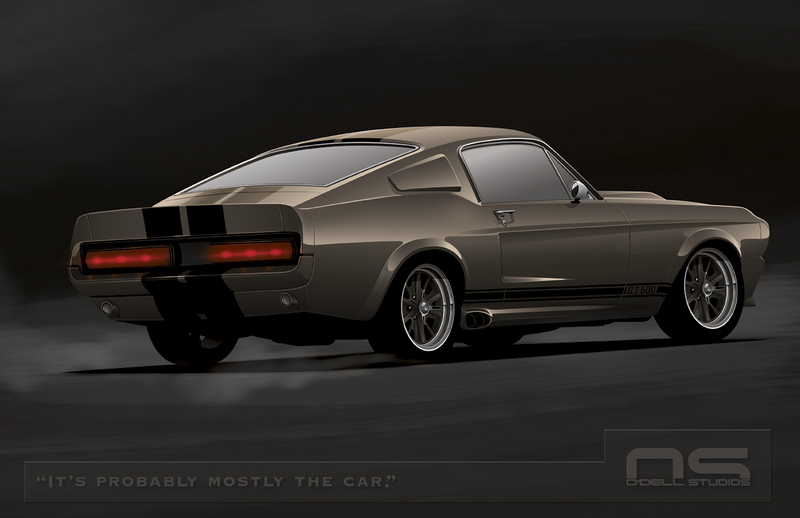 Firearms, cars, art, forums ..... archery. The shooting and outdoor community overlaps with a good variety of other interests and hobbies that may be similar but are really very different, and there is an online forum for virtually everything today. Having a varied assortment of interests myself, I catch the edge of a great number of circles as well but I never would have expected to be designing for a traditional archery outfit. I have to admit though, the bow makers crafting these traditional style long and re-curve bows are artists themselves and while archery never really interested me much before, it does now. I did some research into the work that goes into these beautiful tools and wanted to capture it in my drawing for the forum's title bar. I can only hope that I've done justice to the craftsmen behind them. I set out to create an entire identity for the forum with an icon, logo (or logotype really), as well as artwork for the title bar on the site. With these three elements the community should eventually develop a sort of trade mark or brand identity that can easily be recognized. Of course I spent a lot of time looking at logos within the bow industry, wanting as little similarity as possible to any other brand out there and I found this to be a relatively simple task. 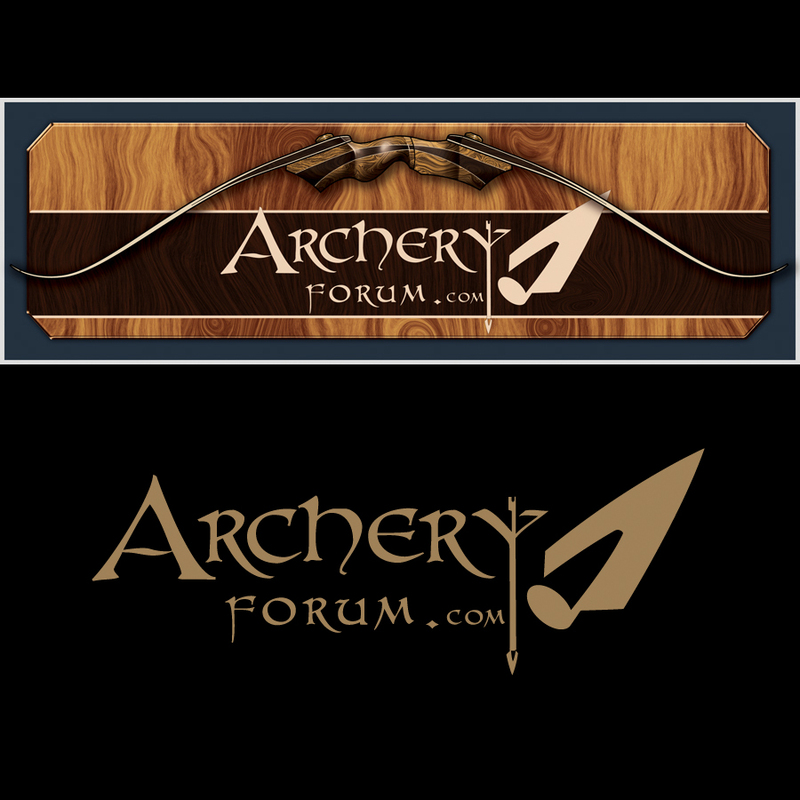 The traditional style broad-head seemed to me to fit the overall theme of the forum itself and made for a clean symbol or icon for individuals interested in the hobby. These designs are the property of the forum and its owners. The popularity of the Glock 19 today and requests to make holsters for them has motivated me to get my hands on a replica and offer holsters. 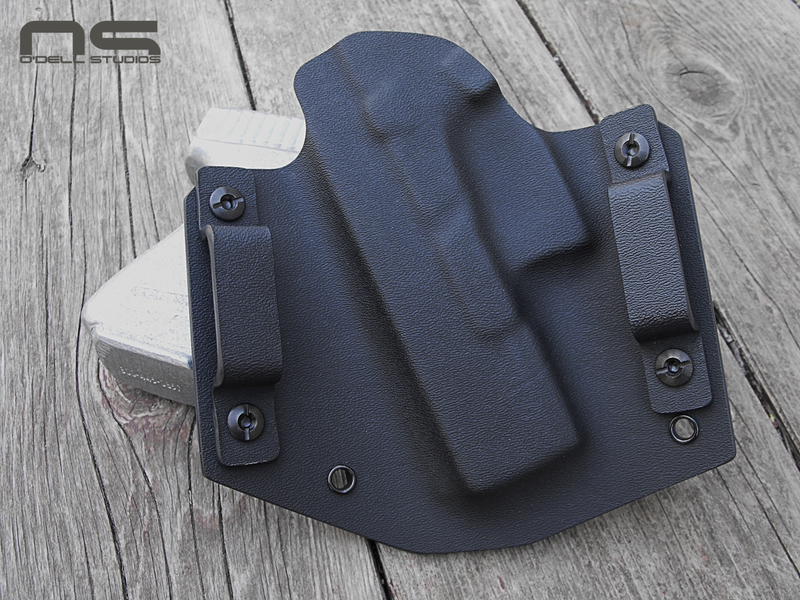 I also found a source for some specific components that I have been wanting and I hope to have MAS Grey and Coyote Kydex as well as matching rivets/eyelets and screws, on hand for holsters. 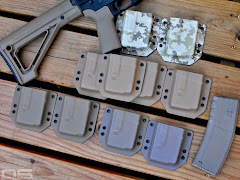 I already have black but I believe that for concealed OWB carry, gray and tan blend much better with typical clothing colors so that even if the Kydex is seen, it's not as readily recognized as holster material. 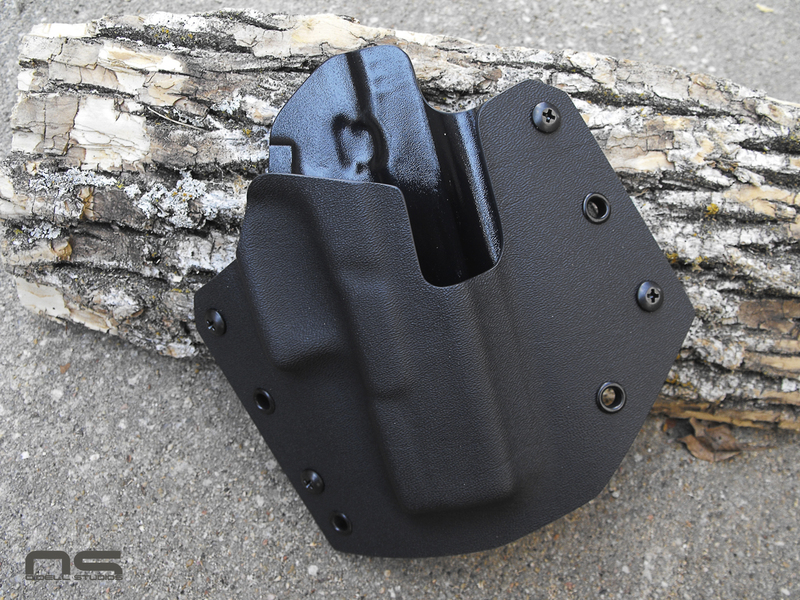 As I finalize the details I will post most information but at this time I have plenty of black and that tan color seen on my mag carriers waiting to become your holster. 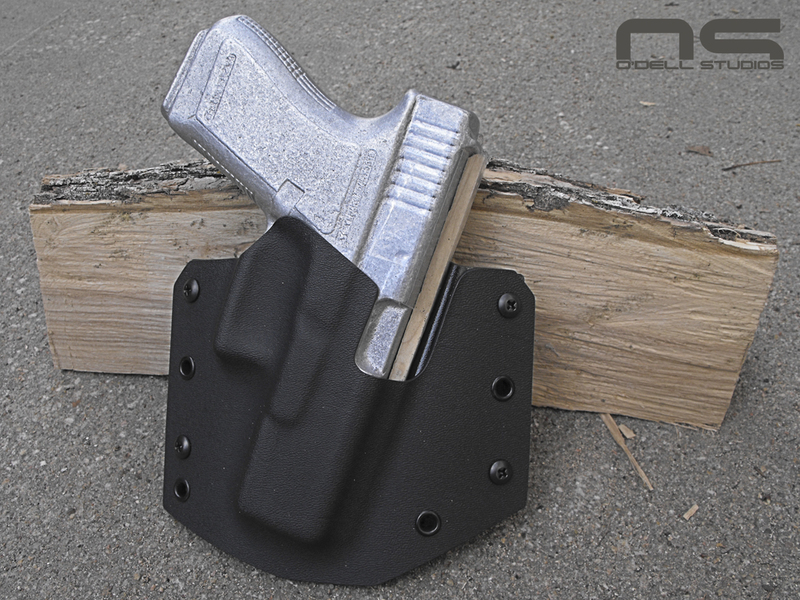 Hit the Kydex tab to get more information. Thanks! 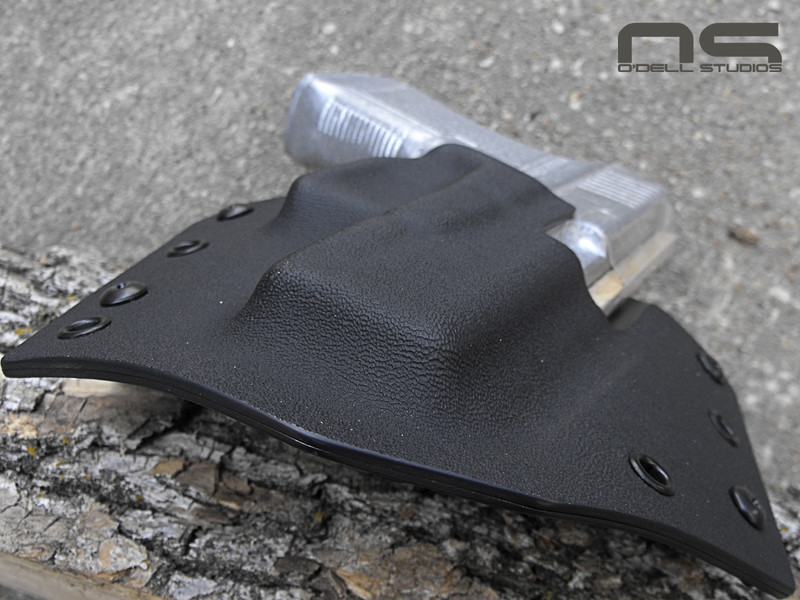 The holster's body curve is smooth and consistent. Minimal material with deep angle for concealment and comfort.